When Christa Black-Gifford’s daughter Goldie died her heart shattered. But it didn’t have to stay broken with the Healer living inside of the pain. 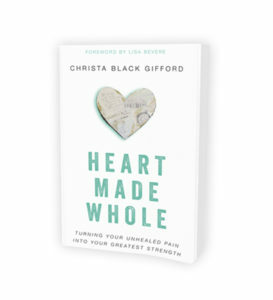 In this book, Christa guides you into the parts of your heart you might have neglected, teaching you how to turn on the Light and find true healing.